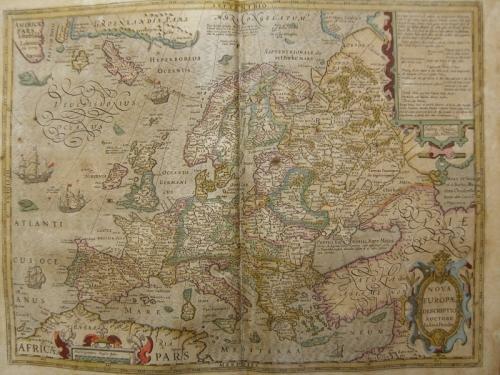 Hendrik Hondius, Amsterdam, 1628 A.D.
A decorative map of Europe. In good condition with overall toning and a centerfold reinforcement to the verso. A couple of small repairs to the margins. Would frame well and the faults are reflected in the price for what would normally be a GBP 1200 map.